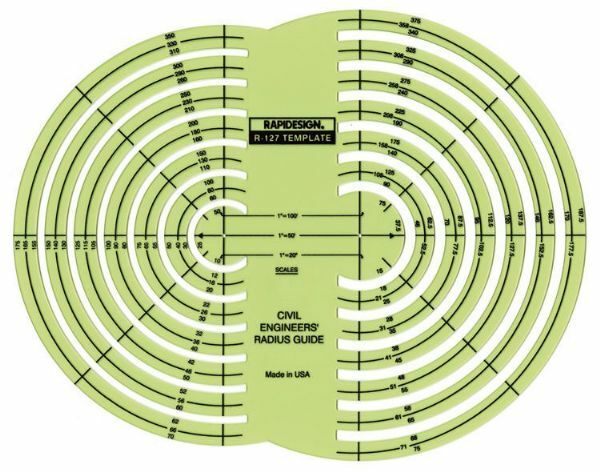 Civil Engineers’ Radius GuideA tool for drawing 26 circles, with an additional 12 radii for center locating. Three scales: 1" = 20’, 50’, 100’. Size: 7½" x 9½" x .060".